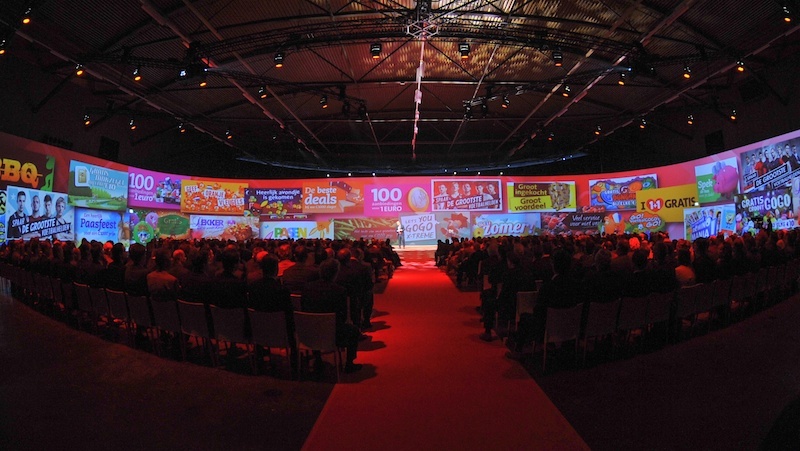 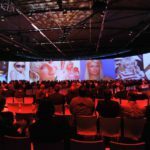 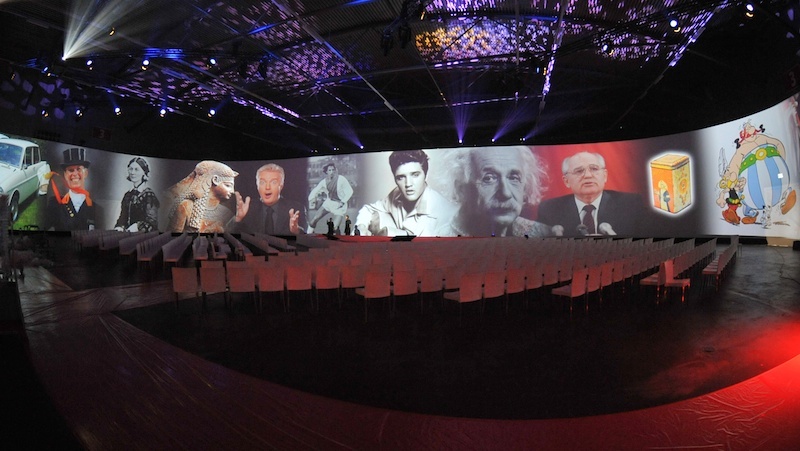 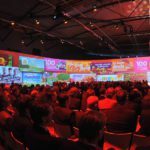 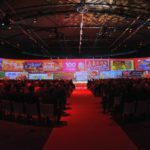 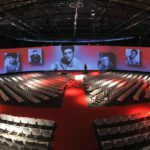 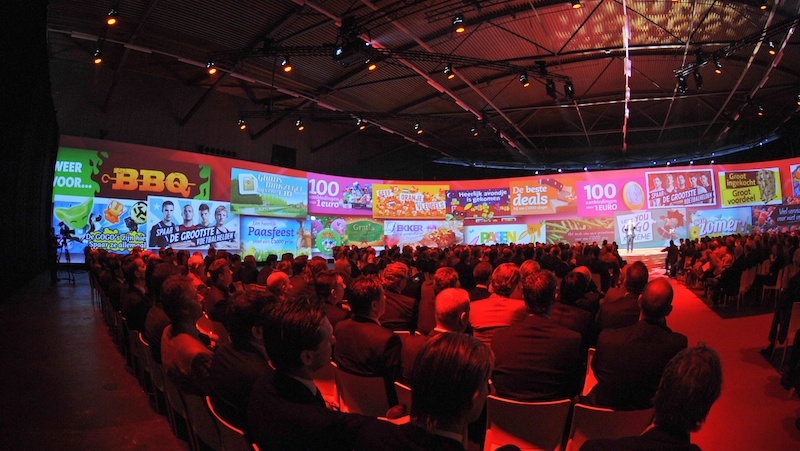 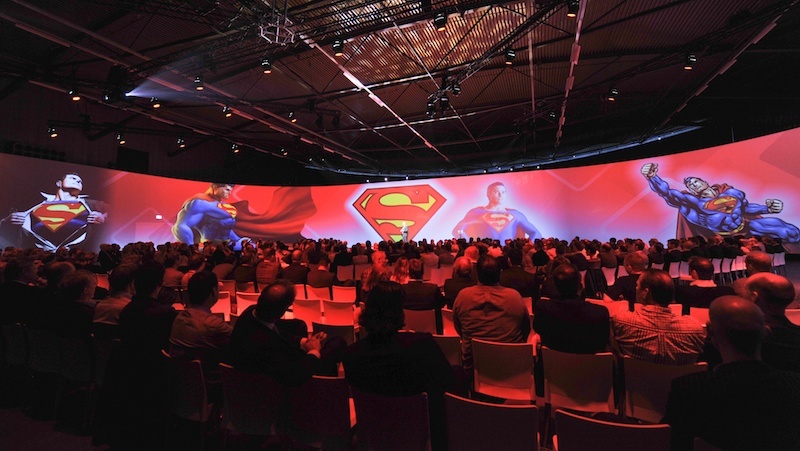 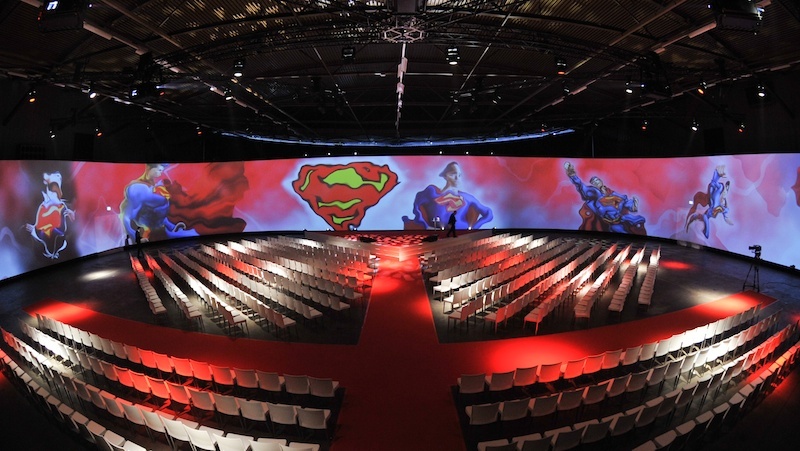 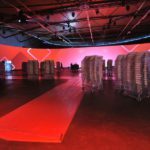 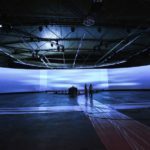 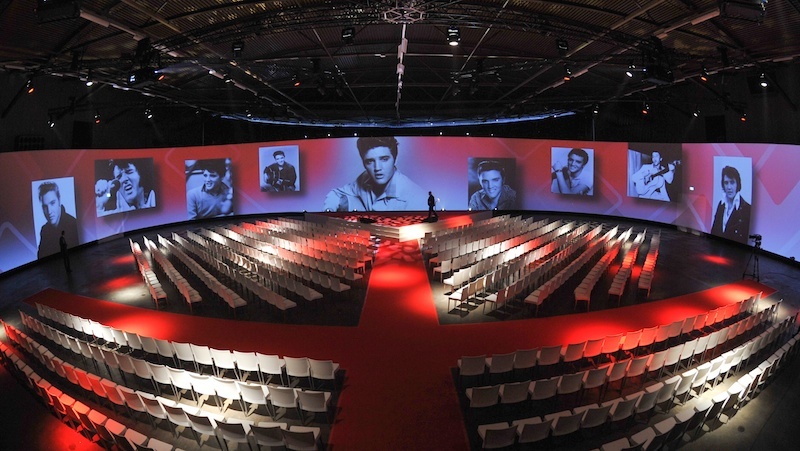 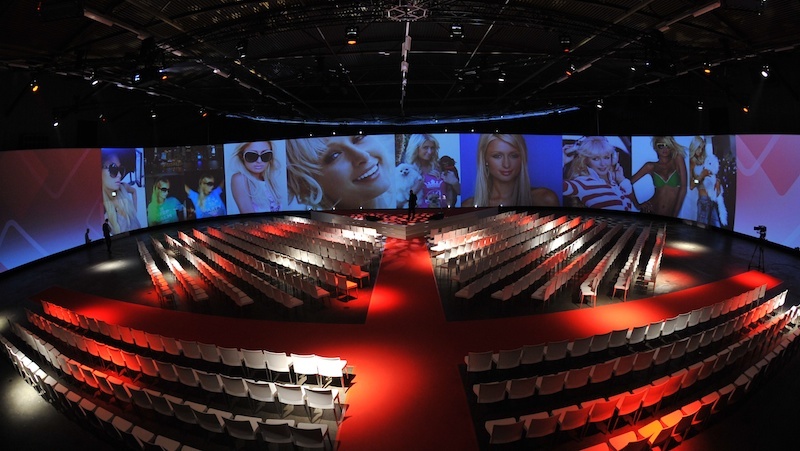 For the event company Aventiq the challenge was to create a massive widescreen with curved corners of 105 meter. 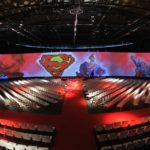 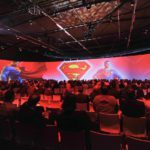 To create this we used 5 x Digital Projection Lightning L45 – 30.000 ansi lumens and a Vista spyder X20-1608 together with a spyder 344. 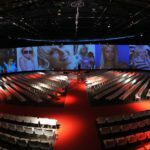 All the background stills and movies of a full resolution of 8800 pixels width, came from one 7th sense 6-head Delta media server which played this at 50 fps! 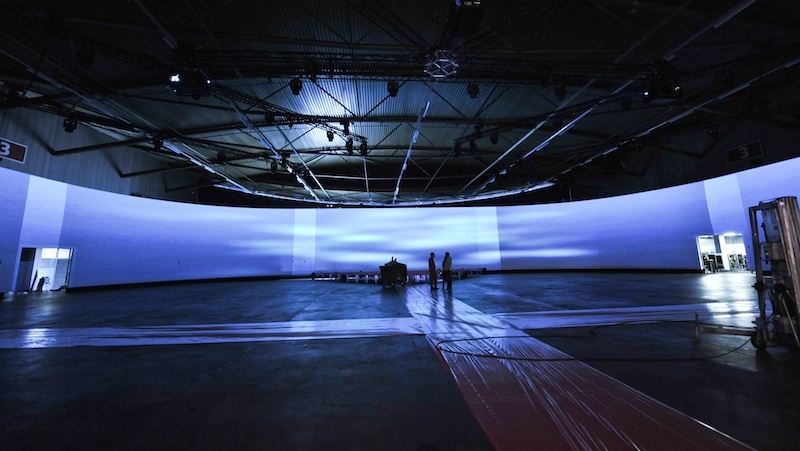 For the insert HD movies we used a MacPro with SSD RAID configuration and playback pro+. 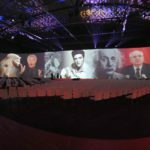 For the audience this was a fantastic experience because they where surrounded with a projection canvas that was was created as a ‘U’ form in the hall. 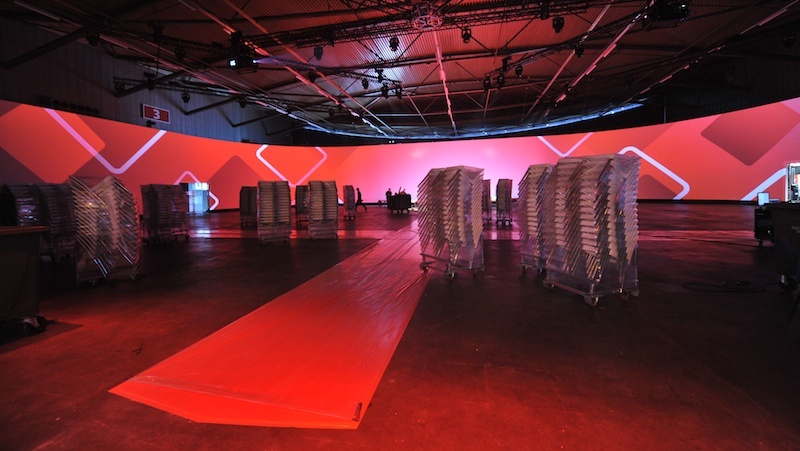 -Overall technical production – Aventiq, the event company.